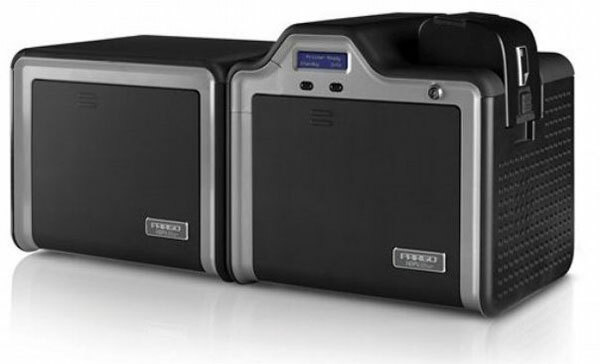 The Fargo HDPii Plus Financial Card Printer/Encoder makes instant issuance practical and affordable for a wide range of financial cards, and helps you deliver an outstanding customer experience with speed, convenience and security. With the HDPii Plus, branch personnel can hand a new financial card to a customer in minutes. No worries about cards lost or stolen in the mail. No delays due to ordering cards from a card plant or service bureau. Instant issuance with the HDPii Plus means that your customers start using their cards immediately - a plus for your institution. And financial cards produced by the HDPii Plus offer impressive image quality. Fargo High Definition Printing (HDP) technology prints photo-quality continuous-tone images over the card edge with vibrant colors and sharp text and graphics. Hdpii, Double-sided Printer, 16MB. This part is also known as 089157.